We know what it's like to find the perfect product only to discover the shipping cost is more than you can afford. When our small company set up our web site, shipping was entered manually. It's less than perfect, we know and we understand. We invite you to email a list of your selected products to info@phillipsfiberart.com. For this offer, the list must include one of the '18 Bundles. We will figure the exact shipping at the best rate possible then reduce the total by an extra $6.95 (so you save what the US customers save!). We will send you a PayPal request for that amount. You pay and the order will be sent. If PayPal is not your preference, we will contact you for alternate payment. 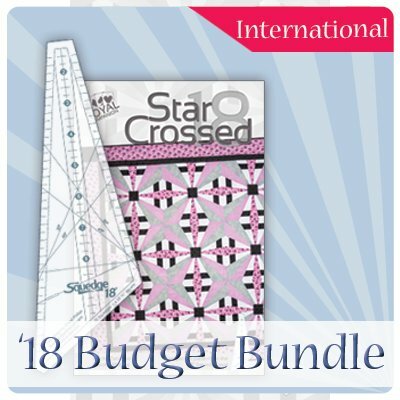 Order the International versions of our sale bundles (Squedge 18 Bundle or the Budget Bundle) on the site. While you will you be charged the current shipping fee, we will refund $6.95 before the order is processed and more if we find a less expensive postage rate. This offer is good only for orders which include one of the two Squedge 18 bundles. Currently, we are updating our international shipping rates. Until they are corrected we will continue to work with each of you on an individual basis. 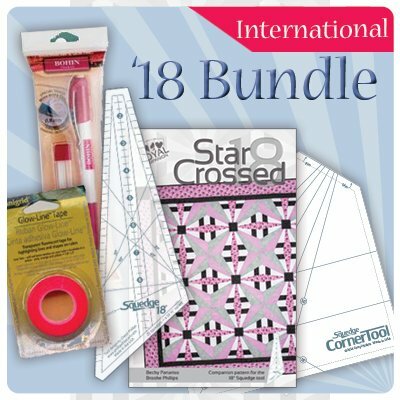 We want to continue sharing our new tools and quilt designs. We appreciate your business!